The Gladstone Yacht Club has a wide range of premium. local, international, craft and boutique beers along with draft and package ciders. Draught selections includes James Squire 150 Lashes, Hahn Light, Super Dry & Premium 3.5, XXXX Gold, XXXX Summer, Tooheys New, OLD, Iron Jack Mid & Iron Jack Red. Furphy, Heineken along with Canadian Club on tap and James Cider Orchard Crush. There is also a customised wine list to match the menu and the venue. Our lovely, friendly, smiley staff are always ready to pour you an ice cold drink. 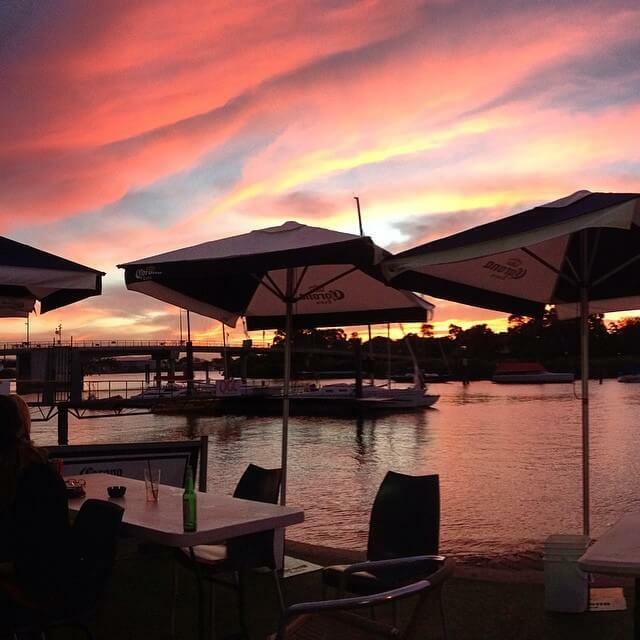 Dudley’s Bar and the downstairs Beer Garden provide a relaxed atmosphere with a wonderful view over the Gladstone Harbour that can be booked via the functions co-ordinator. With our FAMOUS Food, our FAMOUS Wine, our FAMOUS Views and a Flutter, you are the WINNER when you visit the Gladstone Yacht Club. The Gladstone Yacht Club actively promotes responsible service of gaming and alcohol, therefore gaming and drinking promotions are not advertised and rarely conducted. We allow our food and atmosphere to be the centre of attention.